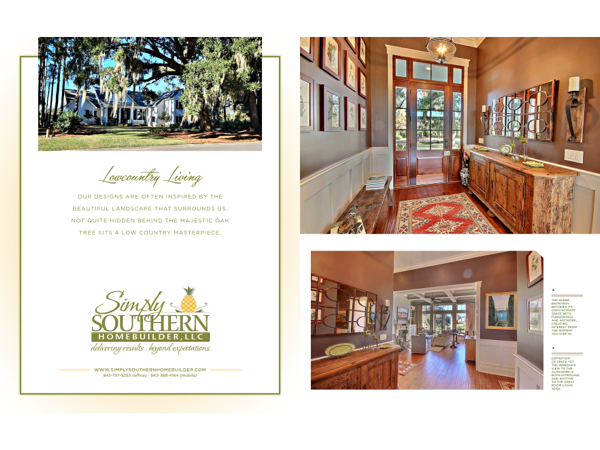 Our designs are often inspired by the beautiful landscape that surrounds us, not quite hidden behind the majestic Oak tree sits a low country masterpiece. The wider entryway becomes its own intimate space with furnishings and artwork..creating interest from the moment you step in. Definition of space yet the immediate view to the outdoors is both intriguing and inviting to the great room living area. 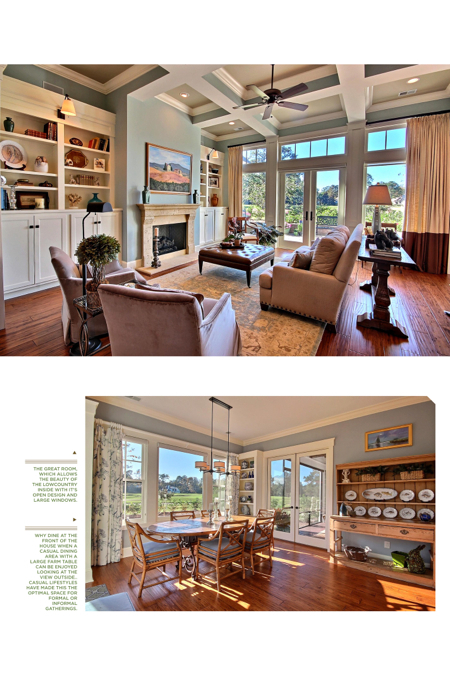 THROUGH PROPER FURNISHING AND BUILT-INS BY TRIM CARPENTERS, EVERY AREA CAN BECOME A PART OF THE HOME. 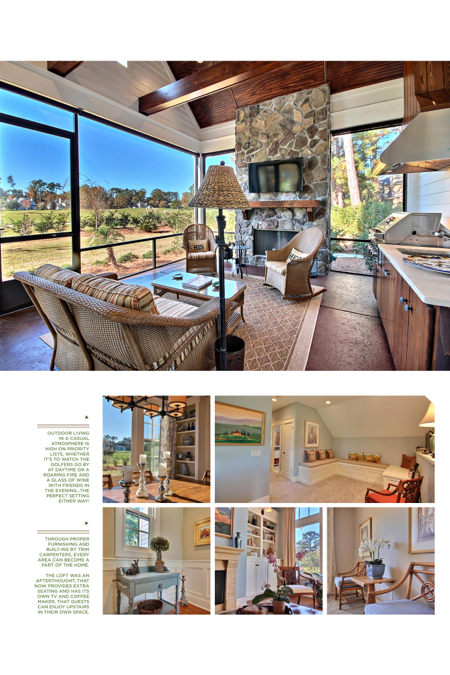 The great room, which allows the beauty of the lowcountry inside with it’s open design and large windows. Why dine at the front of the house when a casual dining area with a large farm table can be enjoyed looking at the view outside..Casual lifestyles have made this the optimal space for formal or informal gatherings.